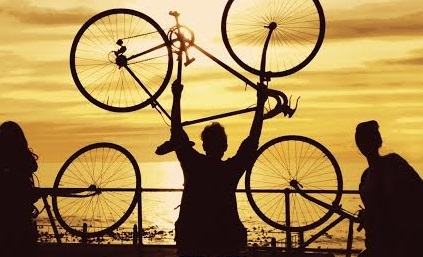 A fun, social cycling event called FNB Freedom Ride will take place Sat, 9 August in Cape Town to honor the life and legacy of Nelson Mandela. Supported by the WC Provincial Government, City of Cape Town and World Design Capital, it’s expected to attract up to 5,000 cyclists. It is not a race and is non-competitive hence open to all ages (parental consent where required) and levels of fitness, whether experienced or just learning to ride. The distance is 27kms, one km for every year of Madiba’s incarceration. In symbolically riding 1km for every year of Madiba’s sacrifice of his freedom, the ride will explore the city’s cultural heritage, taking participants through a diverse network of urban transport and development corridors – highlighting practical cycle routes and enabling participants to experience the freedom of cycling in the city. The ride will start in Rondebosch, pass through Athlone, Langa, Pinelands, Woodstock and end in the CBD. The route was carefully chosen to reflect how the bicycle can break down barriers and link communities historically kept separate. The first of its kind in CT, it promises to be memorable, exciting and enjoyable. Participation is free but riders must register to take part as numbers are limited. Participants are encouraged to donate to assist in setting up a Bicycle Empowerment Centre in Langa. The event is being organised by NGO Bicycling Empowerment Network (www.benbikes.org.za). Detailed info such as registration procedure, ride route, ride checklists and links to resources on cycling in CT, bicycle rental and public transport options can be found at www.freedomride.co.za.